‘Creed’ should be considered the next sequel or spinoff in the Rocky franchise. Part 7 by all accounts, but is so much more. If we can, let’s go back to part 6 (‘Rocky Balboa’) for a second. I went into that sequel with such low expectations and was blown away. I remember hearing about ‘Creed’ being green lit and remember just shaking my head at what I thought was just a cash grab. I was completely wrong. 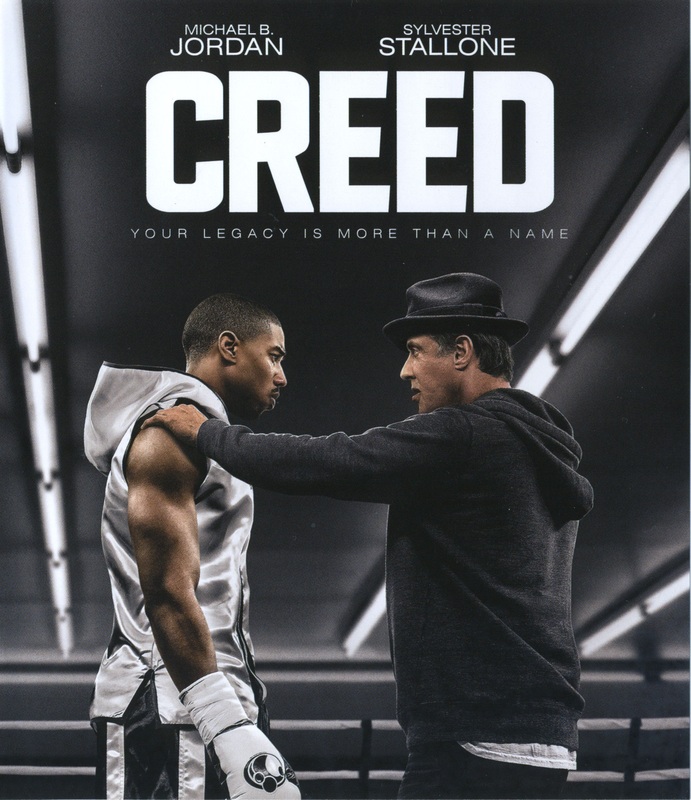 ‘Creed’ follows Adonis (Donnie) Creed, played by Michael B. Jordan, the illegitimate son of the late and former world champion Apollo Creed. Donnie leaves his home in California as he travels to Philadelphia to be trained by another former world champion Rocky Balboa, played amazingly by Sylvester Stallone. Stallone received an Academy Award nomination for his portrayal as Rocky in this film and after seeing the film I truly feel he deserved that nomination. He played the role of an aging former boxer so believably I was able to forgive most of his past performances of Rocky in the later films. To be honest, the acting in this film is great. I don’t think anyone came to this production to phone it in. Tessa Thompson is great as Donnie’s neighbor, who is an up-and-coming singer songwriter, love interest, who is fighting her own battles as she is slowly loosing her hearing. Additionally, Phylicia Rashād, best known as The Cosby Show’s mother, plays Apollo Creed’s widow. The directing from Ryan Coogler is great. He also came up with the story and co-wrote the film himself. He persistently pitched this idea to Stallone until he agreed and I feel he knocked this out of the park and beyond. I can’t wait to see how Coogler does with this weekends ‘Black Panther’ Marvel movie. Jordan is also in ‘Black Panther’ as well. I’ve heard amazing things and will hopefully see it soon. The fight scenes are excellently directed and shot. I was sold early on and was legitimately into the story the entire way through. I was looking for something to watch last night, realized we recently got Amazon Prime and was debating on two other movies before seeing ‘Creed’ and immidately turned it on. 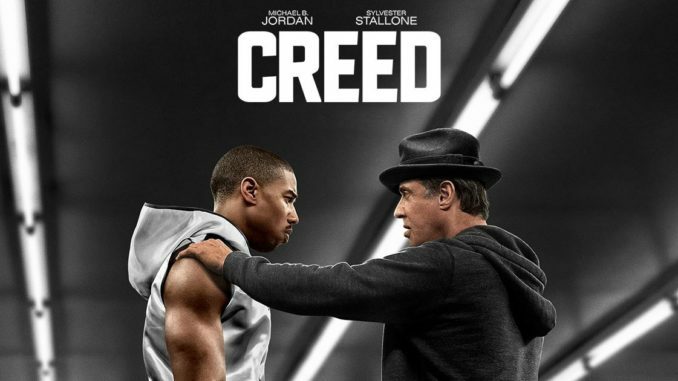 I don’t think ‘Creed’ needs a sequel, especially without Coogler directing, but I understand why they are making it. I just hope it keeps to the hard work, love and respect that Ryan Coogler put into this first one. One of the best quotes that spoke to me came from Rocky while he was training Donnie. Rocky has Donnie look at himself in a mirror and say “You see this guy here? That’s the toughest opponent you’re ever going to have to face.I believe that’s true in the ring, and I think that’s true in life.” While I will never get into a ring to box, I can agree with what he says here. Sometimes I am my own worst critic. I would highly recommend seeing this film. Even if you aren’t a Rocky film lover, this isn’t a real Rocky movie. This film is much more than that. It transcends what a Rocky movie is and modernizes it for today’s audience.